“A judge should strive for a professional appearance while in the ring,” says Mullinix. 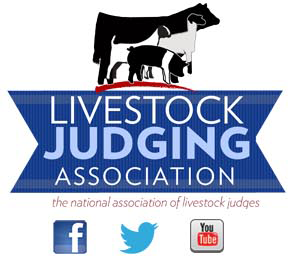 “They are at a level of authority above all others at the show and should be clean-shaven, well-groomed, and dressed appropriately for the species and level of show.” Mullinix recommends judges wear starched or pressed slacks and shirt. Ward agrees and feels that a shirt and tie is an appropriate choice for any show, no matter the size or scope. “I feel it is an honor to be asked to judge at any show, whatever the level, and I treat it as such,” says Ward. He adds that judges should wear a jacket or sports coat if judging at bigger shows and if the weather fits. A cowboy hat is also a common accessory for livestock judges. Williams, a native Texan, wears a cowboy hat at nearly every show he judges, as he feels this identifies him to the crowd and exhibitors and adds to the professional image of a livestock judge. Ward agrees with Williams that a cowboy hat is certainly acceptable in the show ring, but advises that baseball caps or visors are not acceptable judges attire.